One of the things I love most about Christmas (besides the presents, of course) is the fact that I get to decorate my home and my office. You’re probably excited to do that too so we thought we’d start looking for ideas early on so you have plenty of time to pick your favorites. 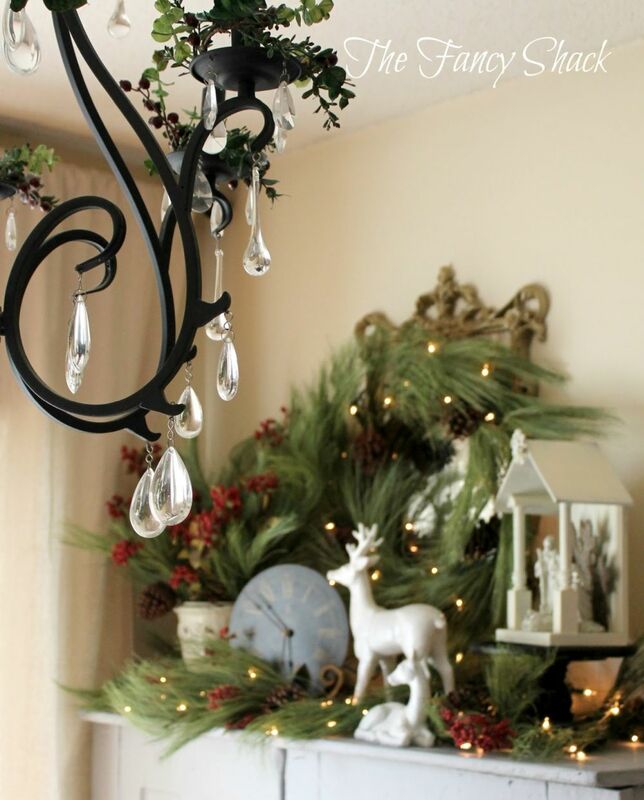 Today we’re looking at some Christmas wall decor projects. 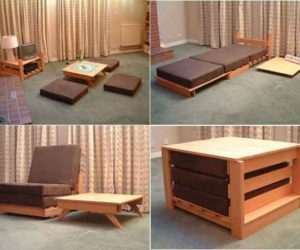 They’re fairly simple and budget-friendly and they can all be customized in all sorts of original ways. 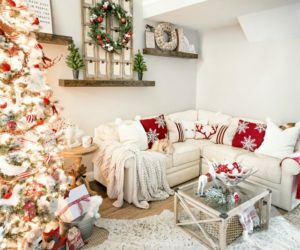 Christmas is that time of the year when we spend time with family and close ones and when we open our homes to guests so it’s important for it to look and feel welcoming. 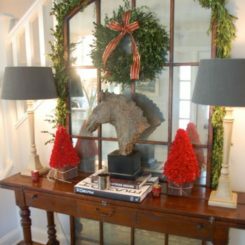 You can make sure of that by decorating the entryway in a festive way. 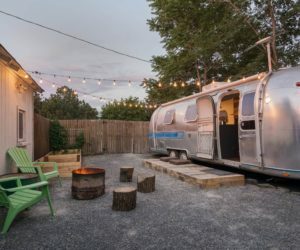 We like this setup featured on littlehouseoffour. 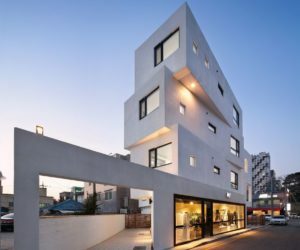 It’s not too complicated but it’s not lacking character either. 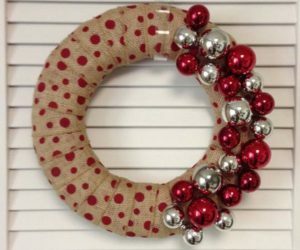 Wreaths are everyone’s best friend during the Christmas holiday season. They come in all sorts of shapes and sizes and they can be hanged pretty much anywhere. 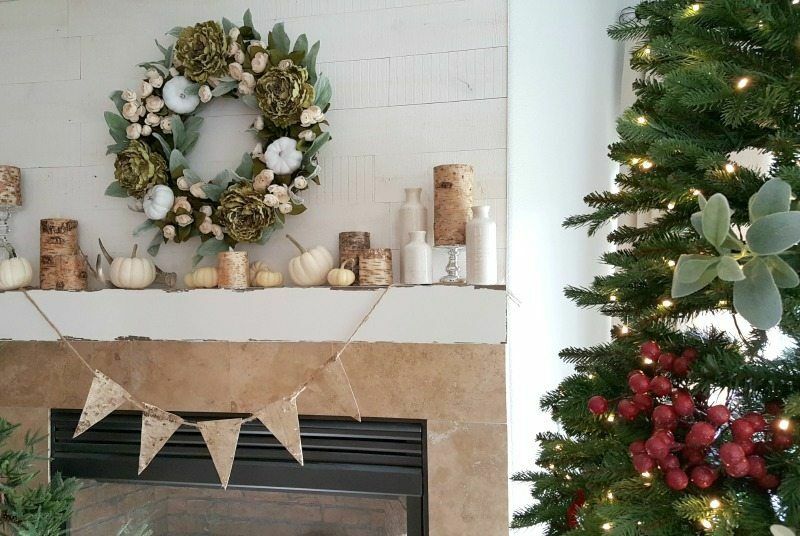 For example, a common option is to display a festive wreath above the fireplace mantel. 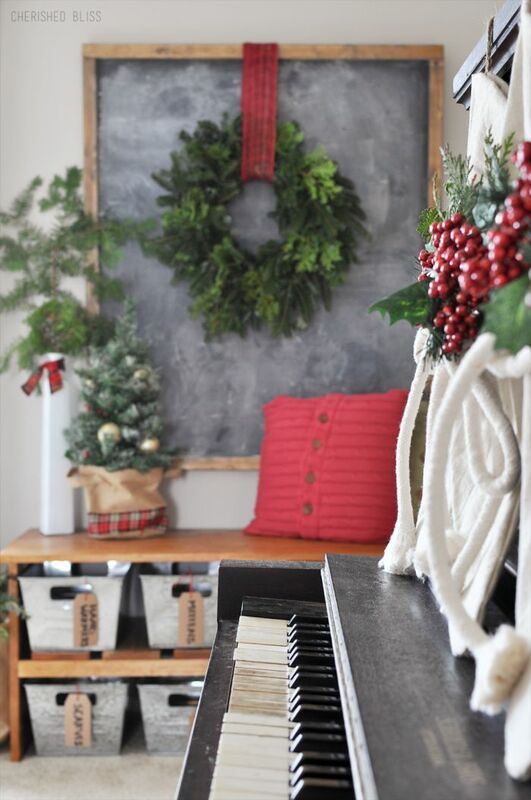 Don’t forget to bring the spirit of Christmas in other spaces too, not just the living room. 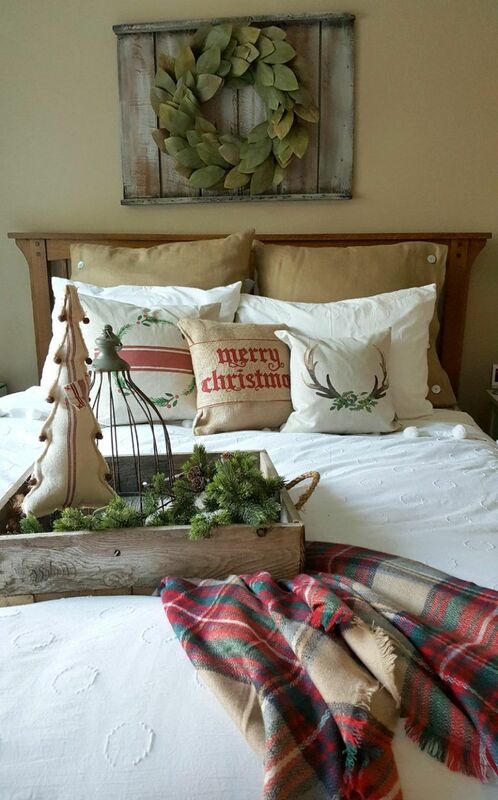 You could hang a simple wreath in the bedroom, on the wall just above the headboard. Perhaps you could complement it with some Christmas-themed accent pillows. You can find more cute ideas like these ones on thedesigntwins. 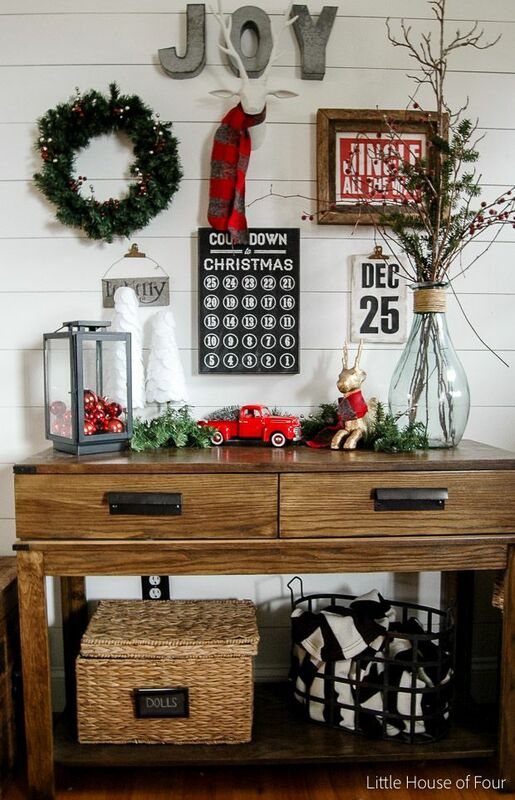 Another idea is to set up a sort of Christmas station where you group up winter-themed items and festive decorations. 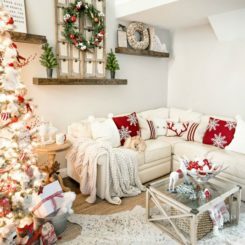 You can hang a sign, frame pictures, put cozy pillows and blankets on a bench or a chair and turn the area into a festive nook. 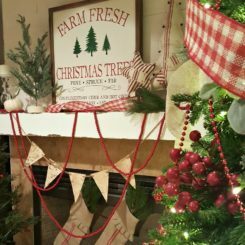 You should definitely use evergreens in your Christmas wall decor as a way to add color to the room but also because they have a specific scent which we usually associate with the winter holidays. 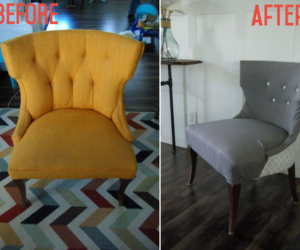 There are many ways to do that and you can check out thefancyshack for a few ideas. 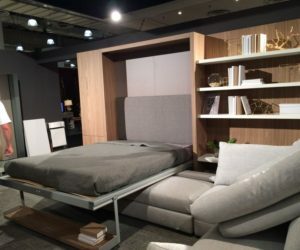 For the living room you could plan something cozy. Perhaps you’d like to put some festive pillows on the sofa. You can decorate them yourself or buy some new pillowcases that suit the occasion. 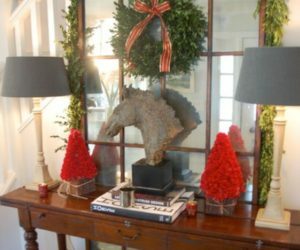 The coffee table could be filled with Christmassy decorations like pinecones, evergreen branches, candles and other such things. Don’t forget the wall behind the sofa. That could be the new focal point of the room. Check out thedesigntwins for an idea of how to achieve that. 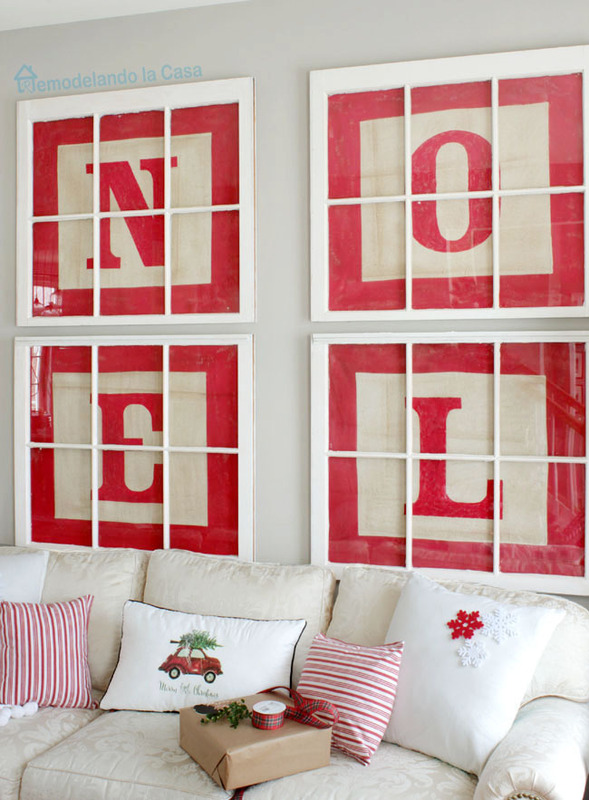 Speaking of focal points and Christmas wall decor that stands out, check out this alphabet block letter art idea from remodelandolacasa. 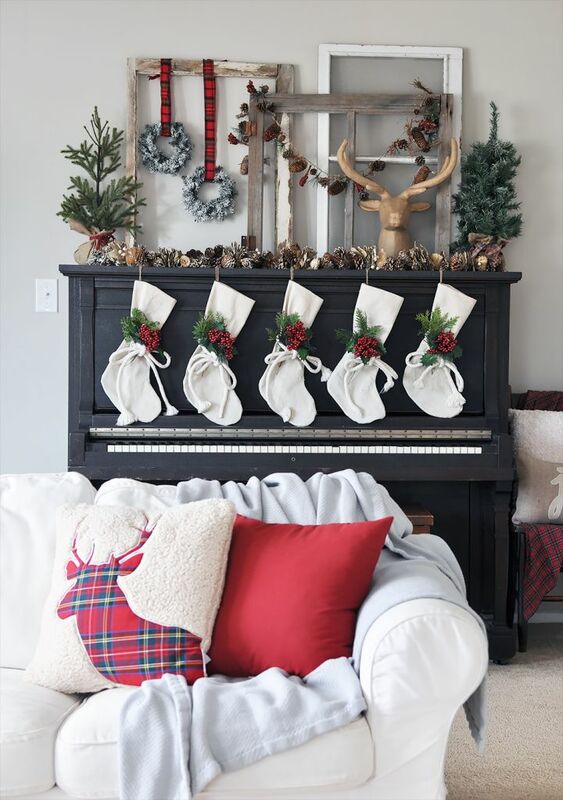 This is a great way of filling an empty wall and making the room look festive in the process. You can personalize the design however you want but we suggest keeping the colors as they are here. Did you know you can knit using only your fingers? 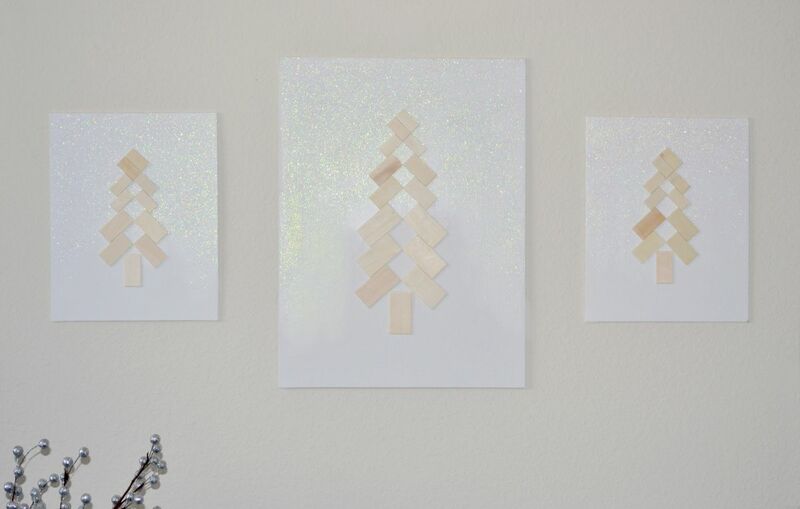 It’s easy and it’s fun and you can make all sorts of cool things, like this DIY Christmas wall art featured on hearthandmade. You can display this above the fireplace, on your bedroom wall or wherever you see fit. Add some greens for a touch of color or use yarn in a bold nuance. 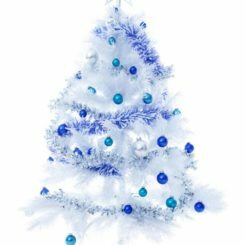 Not a fan of traditional Christmas trees? 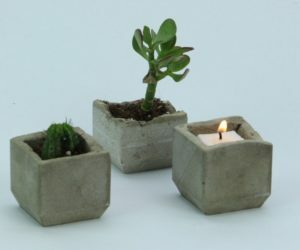 That’s cool because you can actually find a ton of interesting alternative ideas, including this one from designimprovised. 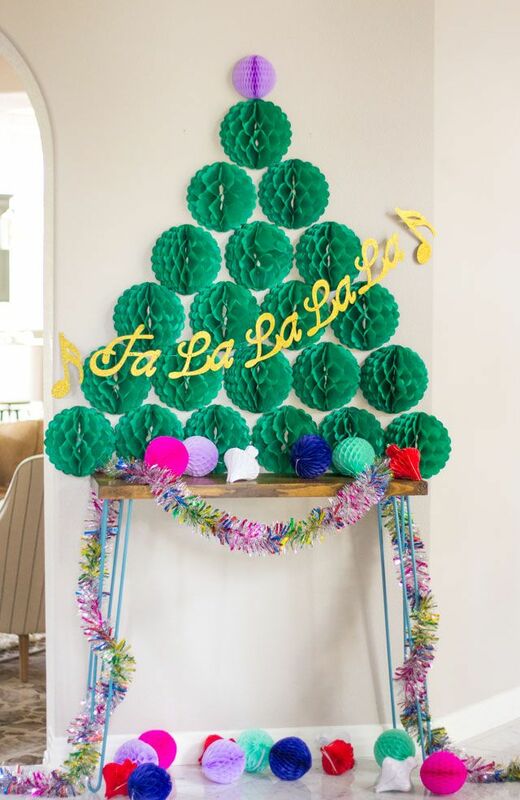 This tree is made of honeycomb balls that are glued onto the wall using double-sided tape. 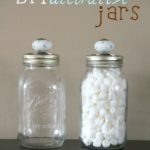 It’s an easy and fun craft for both kids and adults. 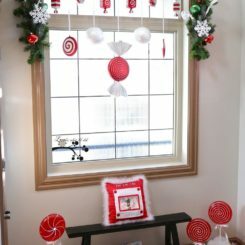 The Christmas wall decoration featured on thewhimsicalwife is pretty whimsical itself. It’s also a super easy craft which requires few supplies and doesn’t take much time to complete. 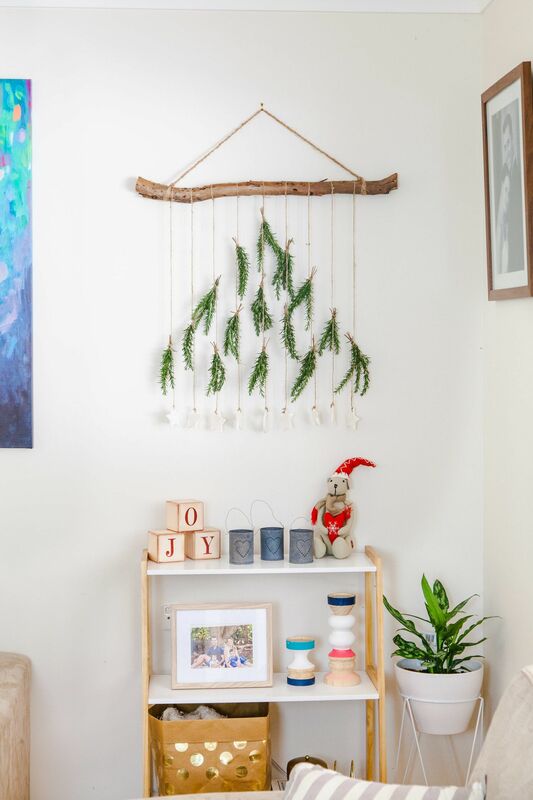 This is what you need: a branch (1” thick or so), some jute twine, a bunch of rosemary springs and nine small Christmas ornaments to hang at the bottom. The rosemary smells nice so your whole home will have a festive scent. Advent calendars are fun for the whole family and there are many different ways to customize them. 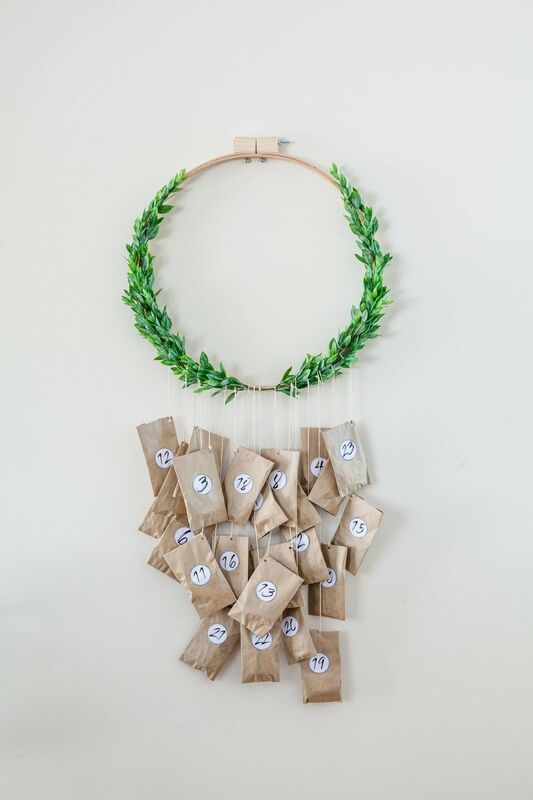 One idea is to give up the idea of a calendar altogether and to make an advent wreath instead. 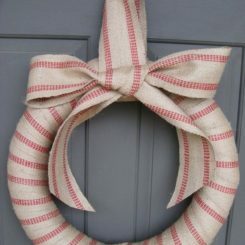 It would be a surprisingly simple project for which you need a quilting hoop, faux foliage, small paper bags, number stickers (or printed numbers which you glue onto each bag), jute string, a hot glue gun, tape, a hole punch and of course small prizes and sweets. 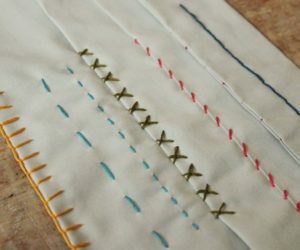 You can find a detailed tutorial about this on thewhimsicalwife. Not everyone enjoys all the colorful and loud Christmas decors but that’s no reason not to be festive. 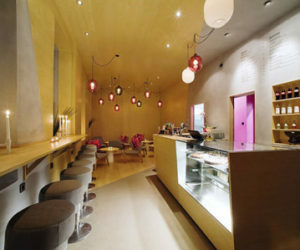 If you want something simple and neutral then that’s what you should have. 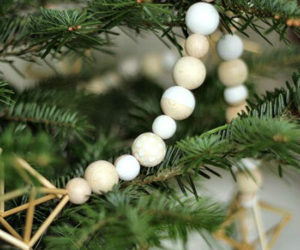 We think we can inspire you with this Scandinavian tree art project that we found on DIYs. All you need is canvases, wood chips, glue, glitter and a paintbrush. Christmas printables are easy t find and you can even make your own if you want to. 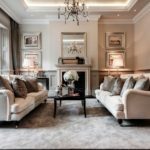 You can display them on walls and spread the joy throughout your home, quite literally in the case of this project from onsuttonplace. Check out the tutorial and some of the other designs and don’t hesitate to use your creativity to customize your project. 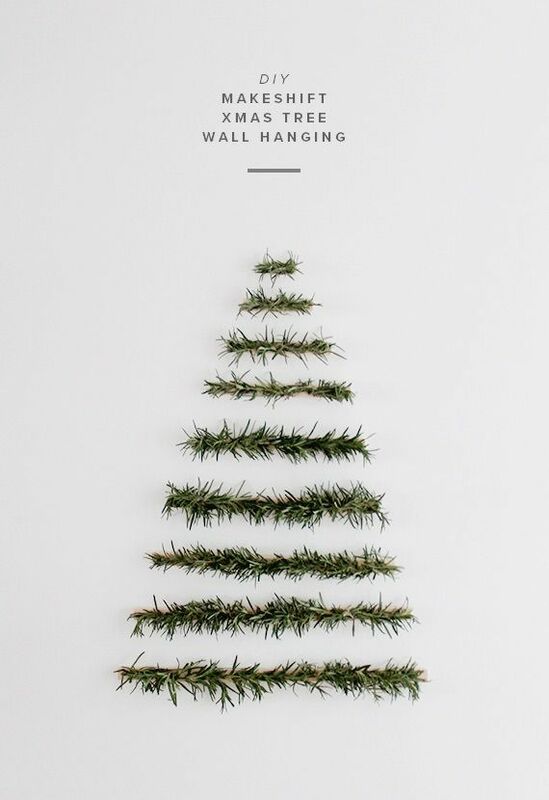 We continue with another creative and minimalist Christmas tree alternative idea, this time from creativespotting. 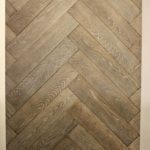 For this project you need a few thin wood strips, a glue gun and fir tree clippings. 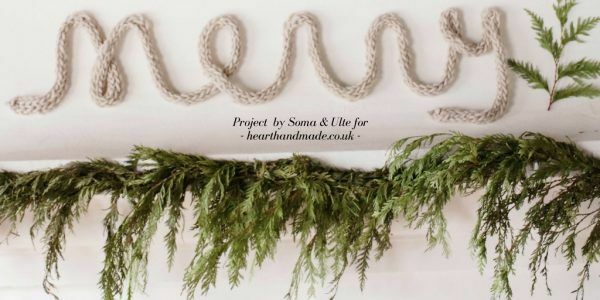 The idea is to decorate each strip with greenery and to cut the strips to increasingly smaller lengths so you can arrange them in the shape of a Christmas tree. 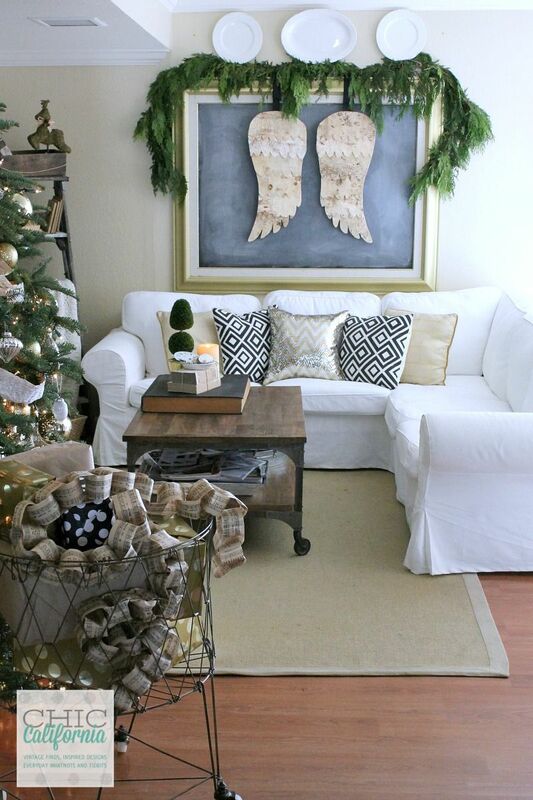 These birch bark angel wings are not your average DIY Christmas project. 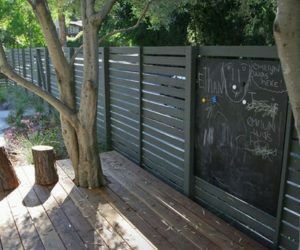 They definitely look cool up on the wall but if you don’t want to go through all the trouble of cutting those pieces of bark you could use some other material, one that’s easier to work with. 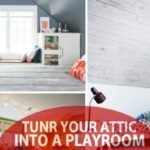 In any case, you should check out the instructions shared on aehomestylelife to find out more details. 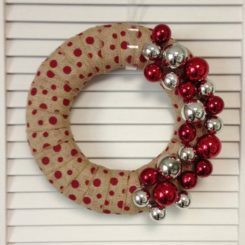 Wreaths are incredibly versatile and can be used as decorations in all sorts of different ways. 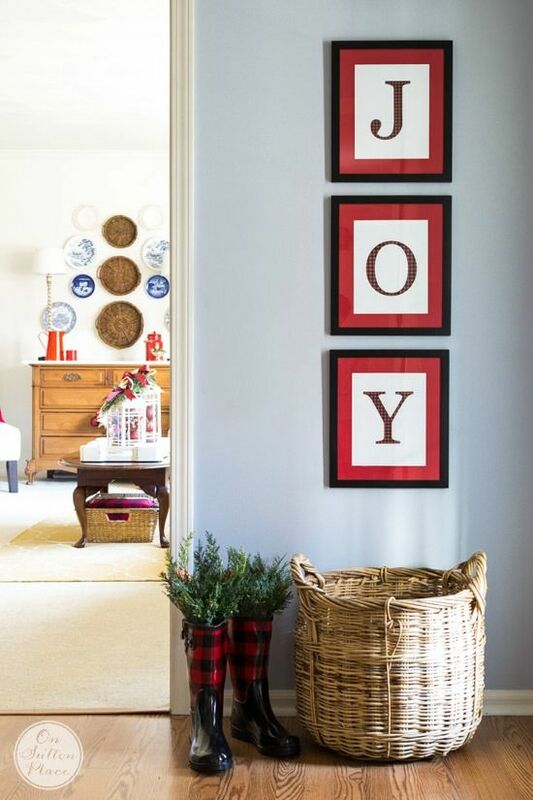 If you’re decorating your walls for Christmas, consider this quirky idea: a JOY sign where J and Y are wood or cardboard letters and the O is a wreath. It’s a super lovely idea which comes from howtodecorate. You don’t really have to hang anything on a wall in order to decorate it. 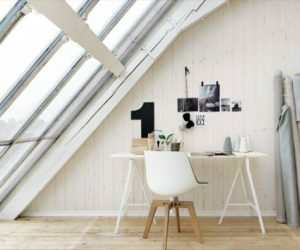 You can avoid punching holes in the wall by simply displaying items on a table, a shelf or a cabinet and letting them casually rest against the wall. 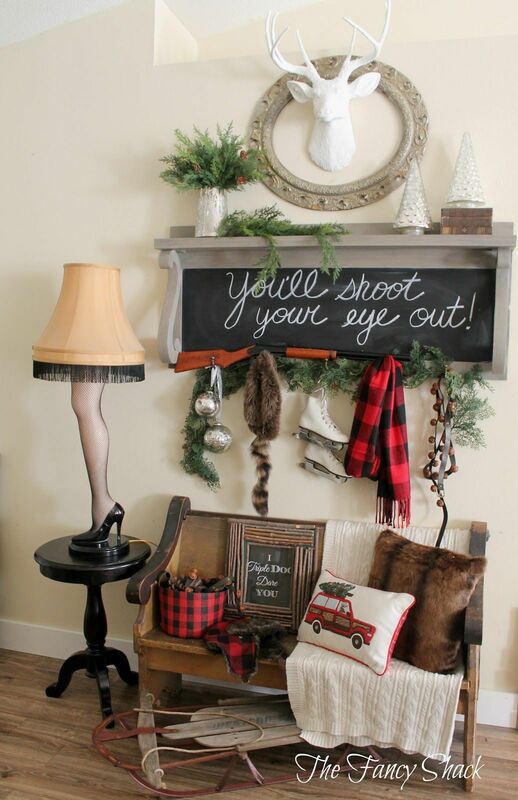 You can do this with framed pictures or with wreaths. 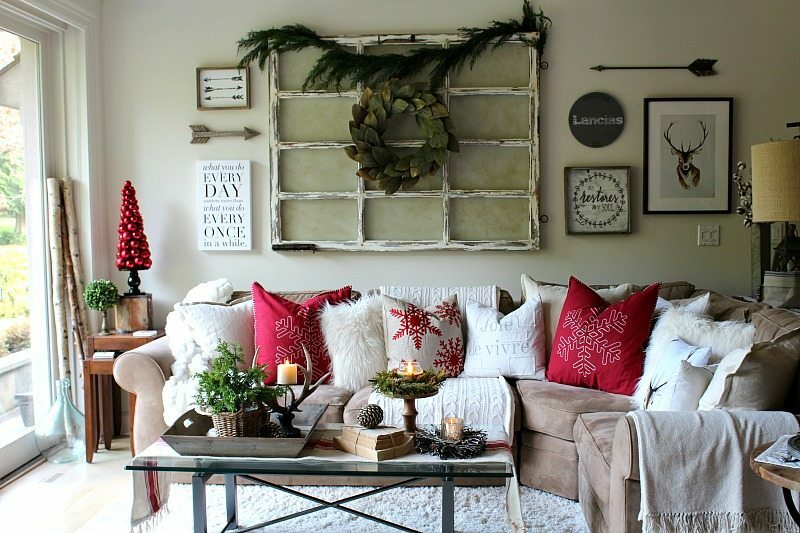 Actually, maybe you could combine the two (frames and wreaths) to create something original. This is an idea that comes from chesrishedbliss. 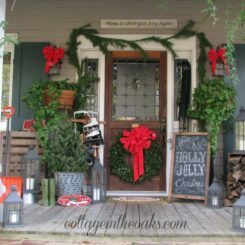 Take a small blackboard, frame it and then hang a Christmas wreath at its center using ribbon. 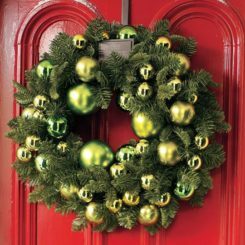 You can write cheerful messages or draw festive things around the wreath. Display the ensemble on a wall.